The Legend of the Blue Sea may seem like an odd hodgepodge and recipe for disaster at first. I mean, it’s a contemporary and sageuk fusion rom-com where legends, folk stories, fantasies, super powers, mermaids, and modern world con-artist coexist. But these seemingly jarring elements surprisingly fit well together to become a congruent story. 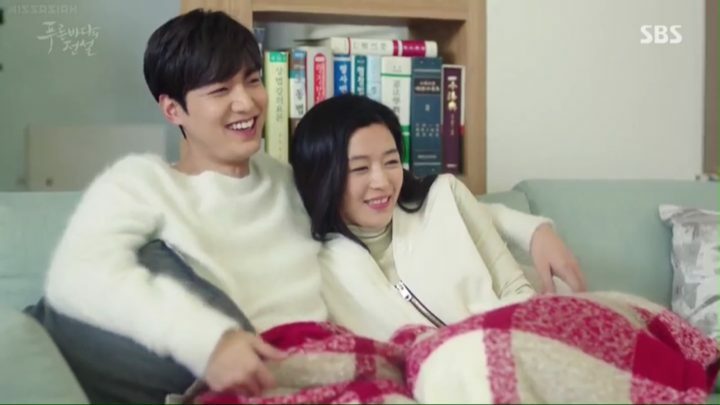 With a star-studded cast, an ever evolving story, and a director who knows how to put on a good show, The Legend of the Blue Sea is easily one of the most entertaining Kdrama endeavors of this year. The Legend of the Blue Sea relays strong themes of loyalty, love, and destiny. Perhaps one of the best things about this drama is how believable the fantasy part of the story is. At some point, I even found it hard to imagine a world where mermaids like our heroine aren’t omnipresent. Another major selling point for the drama is how well it manages to focus on all characters individually, and weave them together in one big connected backstory. The jarring elements fit well together to become a congruent story. The Legend of the Blue Sea starts in sageuk style with a solid introduction to all the main characters and their intertwined backstories. Within minutes, we can identify most of the major players in the series and how they’re interconnected. 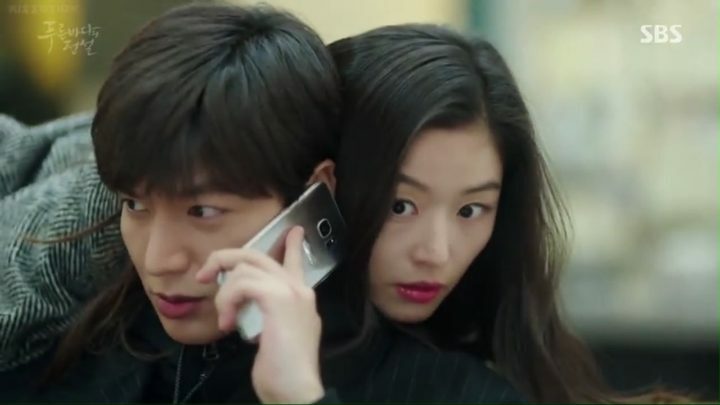 The story quickly fast forwards into the modern world where the reincarnations of our hero, an extremely smart young and rich con-man Heo Joon Jae (Lee Min Ho), and our heroine, a mischievous nameless mermaid with superpowers (Jun Ji Hyun), make their fated encounter. Joon Jae names the clueless mermaid Sim Cheong and they soon embark on their predestined journey together. 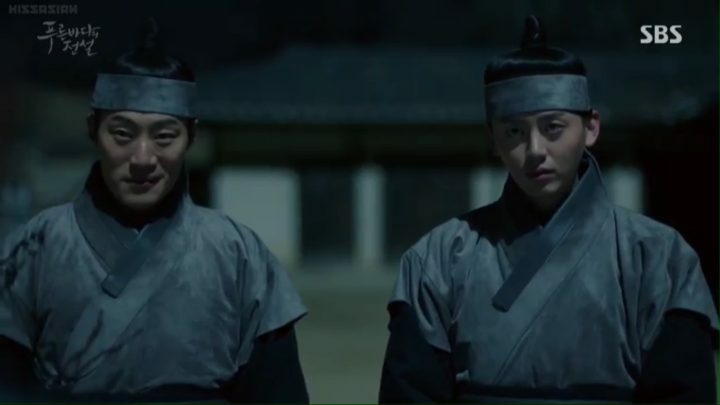 Joon Jae and his henchmen — Jo Nam Doo (Lee Hee Joon) and Tae Oh (Shin Won Ho) — are like the three musketeers in their own warped ways; sticking together to righteously con the wickedly fraudulent. Their bromance serves up generous portions of great comic reliefs throughout the course of the drama. 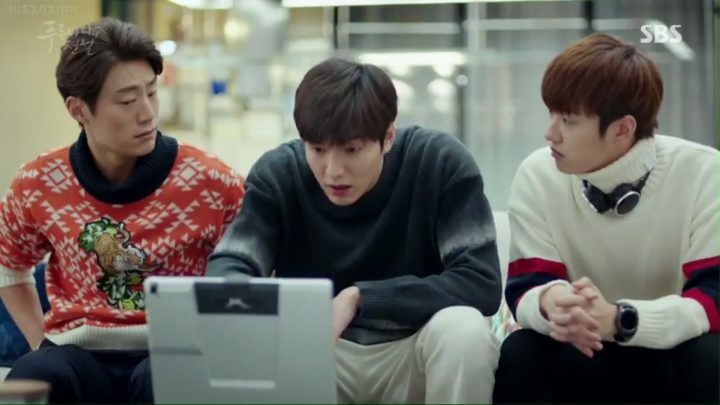 The Legend of the Blue Sea introduces cohabitation hijinks from the get go to help push along the plot line, and I get some good laughs from watching Joon Jae and his buddies try to wrap their minds around Sim Cheong’s strange personality. We also get to see an immediate connection between our lead couple, as expected. Perhaps the destined love line isn’t the most innovative concept, but the additional fantasy and supernatural elements peppered into the drama have made it a pretty fun ride thus far and I can’t wait to see how they’ll be used to make the drama more enticing in the coming episodes. As the storyline progresses, The Legend of the Blue Sea begins to hint at the recurring dangers and tragedies looming over our heroes and puts an emphasis on supporting characters that all partake on the outcome of their fates. 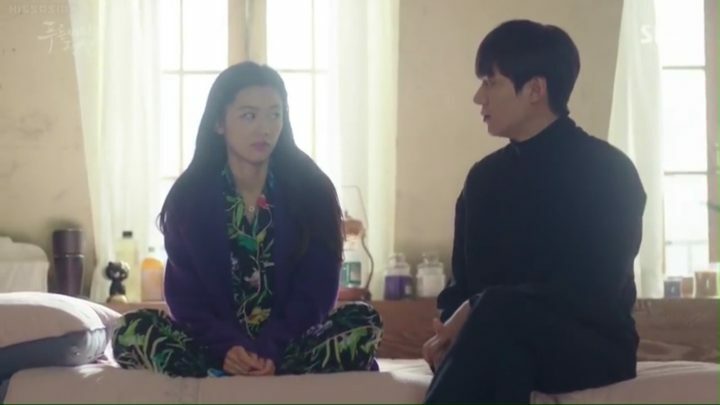 With cohabitation, we’re able to find out about Joon Jae and Sim Cheong’s past lives and the dangerous situations they’re engulfed in, which give us an idea of the direction the story is headed. 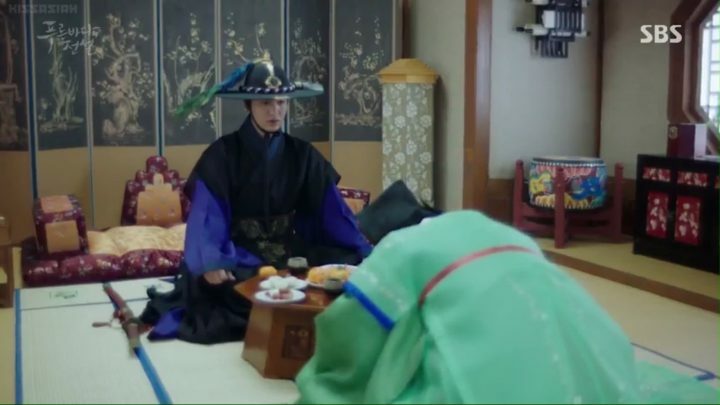 Thankfully, Joon Jae catches on quickly and realizes that the strange occurrences taking place around him are predestined. We also get a deeper look into other key players in the drama, like Ma Dae Young (Sung Dong Il), a ruthless murderer wanted by the police, Joon Jae’s mother and villainous stepmother. In particular, the stepmother’s innately evilness causes me to be on edge every time she gives one of her deceptively calm yet wicked smiles. But seeing that all these characters have crucial influences in Sim Cheong’s future makes me appreciate the unpredictable nature of the scriptwriting even more. It makes me appreciate the unpredictable nature of the scriptwriting even more. On the brighter side, while all the dark drama is brewing, Sim Cheong gets more accustomed to the human world and gives us a few good laughs to lighten up the mood. 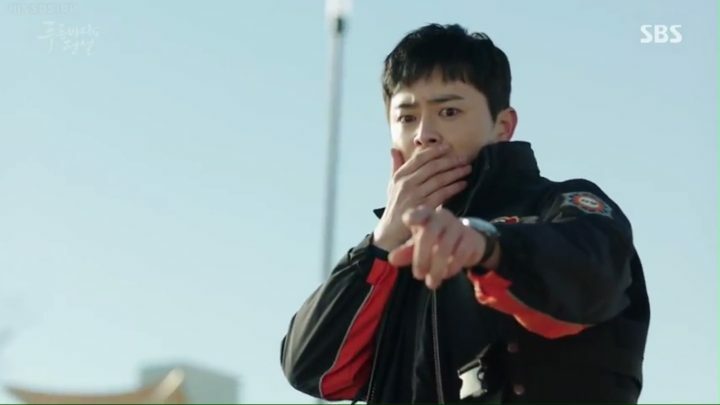 There’s also a delightful guest appearance from Jo Jung Suk that spices things up, and helps push our main couple closer together. The Legend of the Blue Sea works towards greater clarity around all the enigmas for both the viewer and the characters. It finally gives us a valid reason to not ignore Sim Cheong’s ability to read and erase memories anymore as the more danger she is in, the more Joon Jae inadvertently finds out about the mysteries behind her existence. Intensity grows as our hero slowly unearths virtually every secret in the drama, and it’s just a matter of time before the truth comes out. One of such puzzles we’re uncovering with Jae Joon is about who the real villain is. Initially, the drama gives viewers the impression that there’s only one force of malice — the obvious murderer Ma Dae Young. 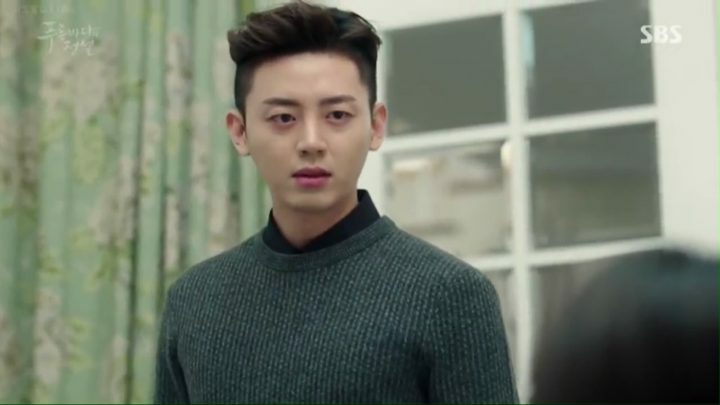 But at this point, Joon Jae’s jealous stepbrother, Heo Chi Hyeon (Lee Ji Hoon) starts to come off as extremely suspicious. However, I appreciate the fact that the drama doesn’t create an unnecessary love triangle between Joon Jae, Sim Cheong, and Chi Hyeon. Given the fact that almost if not all Korean dramas use this trope as a leading plot thread, it’s refreshing to not have the melodrama of unrequited love for once. It’s refreshing to not have the melodrama of unrequited love. While we eagerly look for answers amidst the cloud of mystery, The Legend of the Blue Sea doesn’t forget to thread in comedic scenes and cute moments with the lead couple to help balance out all the seriousness. Another praiseworthy point here is how the drama smoothly mixes the past and the present such that the change is not even the least bit jarring for viewers. The flow of the plot is maintained regardless of what time in history the story takes place. The underlying tone of The Legend of the Blue Sea shifts here, and the atmosphere is more grave from here on out. It’s as if there’s an invisible blanket of doom hanging over all our main characters. This is also an emotional chapter of the drama. 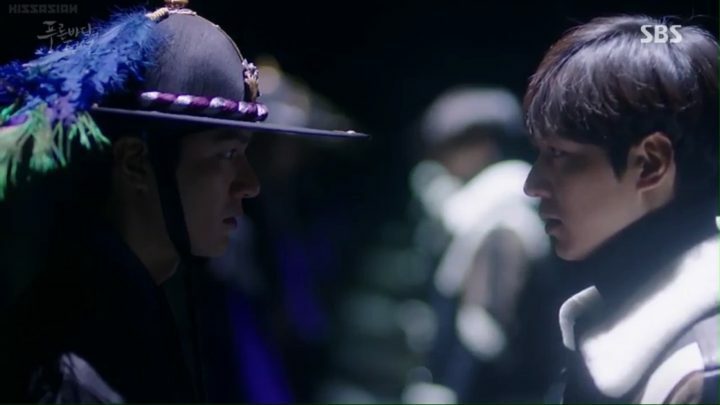 More than ever before, Joon Jae is desperate to protect his loved ones at all cost. Even the three musketeers have their loyalties tested by the sequence of agonizing events. 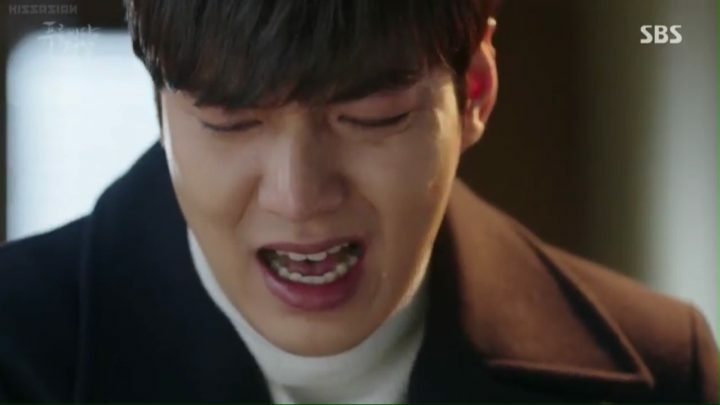 Although Joon Jae partially succeeds, it’s still heartbreaking to watch him deal with consequences and losses. 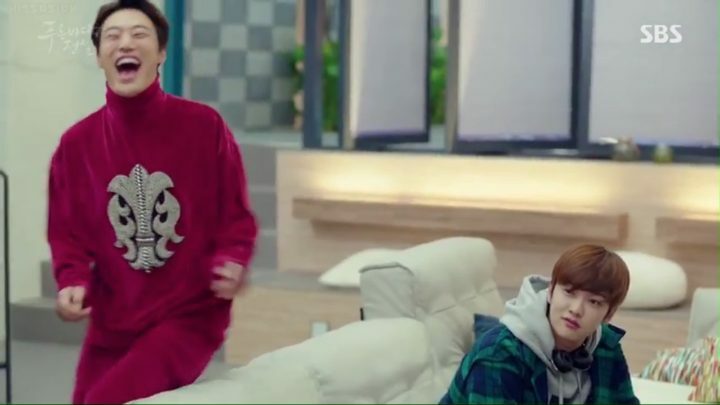 Sim Cheong finally gets to know just as much as Joon Jae does. It’s extremely impressive how she handles it. As expected, the lovers inevitably go through some relationship breaking hurdles and suffer the risk of separation for a while, but not so much that it spoils the fun or the even pacing of the drama. 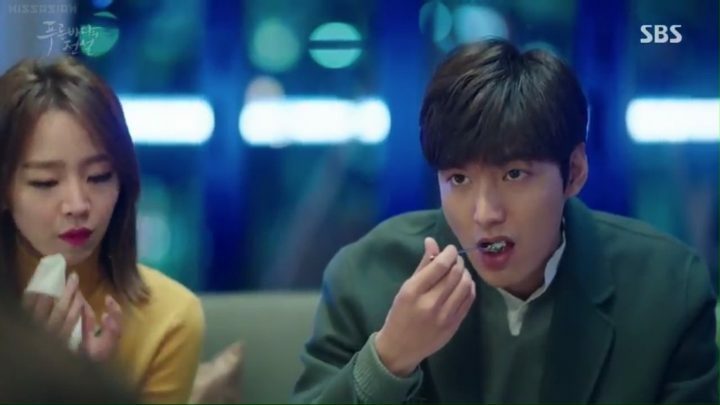 I honestly wondered how The Legend of the Blue Sea would end well without rushing things or suddenly bringing a half-baked solution for the remaining conflicts in the story. Much to my relief, the drama wrapped things up admirably well, with a conclusion that’s extremely credible. Although, the ending employs the overused time jump trope, the execution is done so stylishly that it easily went unnoticed. As the drama comes to a sweet closure with a happy ending for all of the good players, I must commend the cast for their exquisite delivery of every character. There are so many noteworthy, scene-stealing characters that it’s hard to pick a favorite. 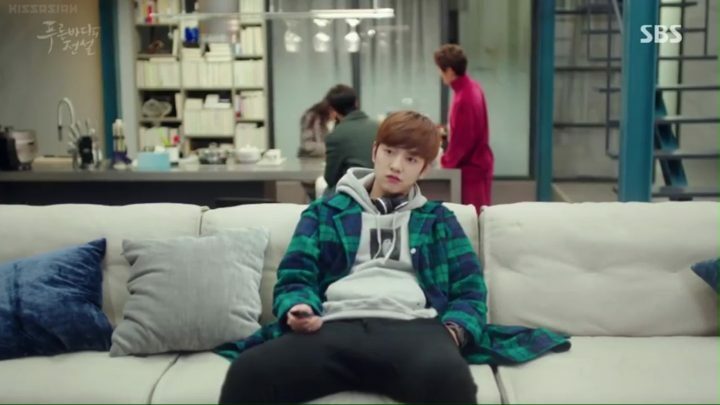 But I’ll give a special shout out to Shin Won Ho. 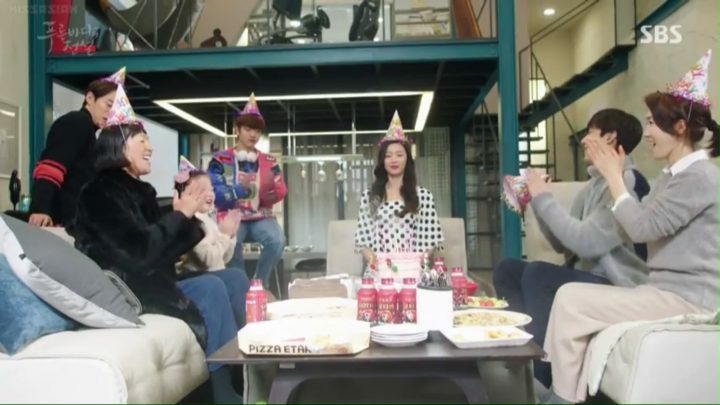 While all the other veteran actors delivered as expected, he matched them despite not having many words. One look at his varied facial expressions said everything his lips were not. 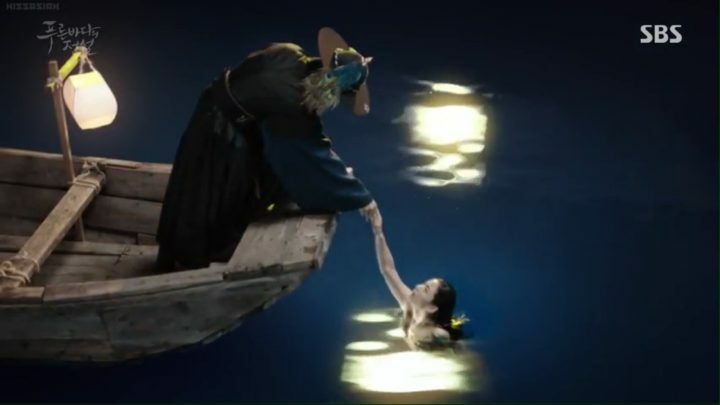 All in all, The Legend of the Blue Sea is easily a ten out of ten in most aspects. Its lovable characters and unforgettable moments make it a treat to watch, regardless of how many times you’ve already seen it.